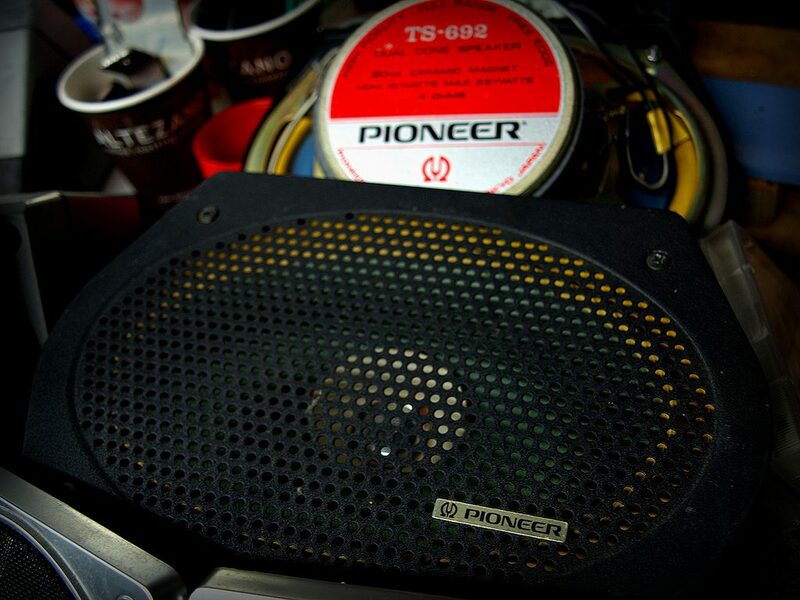 When it comes to car speakers, they are available in a range of different sizes. The 6.5 speakers are by far the most popular size but the oval shaped 6×9 speakers have more cone surface, which provides better midbass performance. The best 6×9 speakers are the Hertz Audio HCX 690, which provide deep bass and improved sound quality with a peak power rating of 260 watts and RMS of 130 watts. Most 6×9 coaxial configurations include a car tweeter and woofer for providing all-round performance. 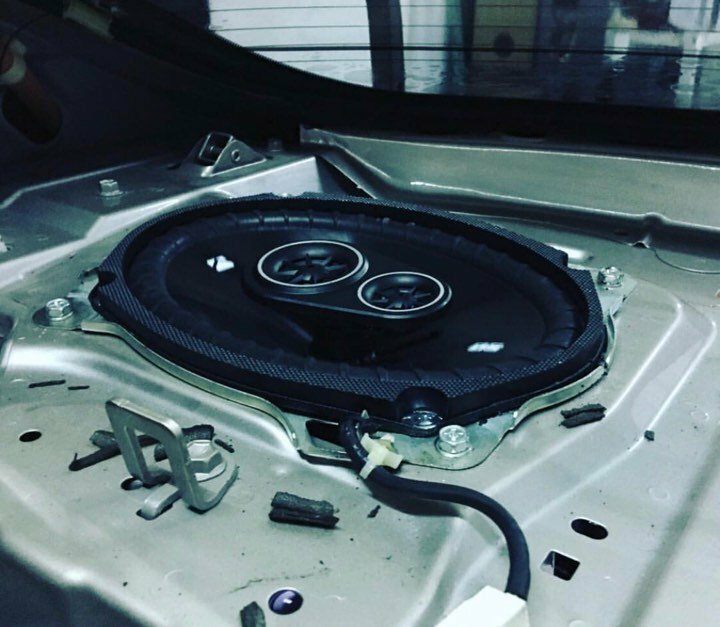 Due to the oval shape, if the factory speakers are not 6 x 9 inches, you may require minor trimming of the mounting area to install it. When comparing between the different performance ratings, we advise that you do not get carried away with the peak power rating. Achieving high power is the easy part but maintaining the quality of the audio is the hardest part. However, the RMS rating is a good indication to the quality of the speaker. The tow main types of 6×9 speakers include a coaxial and component but due to the costs involved with component types, we only recommend coaxial types. Below is a list of the best 6×9 speakers that will provide additional bass, clarity and be direct placements to factory speakers that you are upgrading. Hertz are a premium brand and the HCX 690 are high performing 6×9 speakers designed for audio enthusiasts. They are expensive but when you consider the quality of the construction and the superior performance ratings, it is easy to see why they are the price they are. In terms of sound quality, Hertz have integrated various tweeters into the design to optimize mid-range audio. It also uses a damped mesh fiber cone and polymer surround for further an improvement in responsiveness. Overall, they are the best 6×9 speaker you can buy before having to move to speakers that cost thousands of dollars. Pioneer produce numerous 6×9 speakers and their latest is the TS-A699R A-Series, which is a vast improvement on the previous generation. Enhancements to this series includes deeper bass, dynamic range, higher power handling and a tweaked design that looks great. The Pioneer TS-A6996R are the best 6×9 speakers for bass, which is mostly due to the clever multilayered mica matrix cone woofer. Compared to alternatives with similar performance, these 6×9 speakers offer excellent value for money too. Kicker are a popular brand due to their affordable cost but great performance. The D-Series is their latest generation and they are great OEM replacement 6×9 speakers that provide excellent sound quality. In order to achieve deep bass, the D-Series uses a 2 inch polypropylene woofer that is surrounded by a ribbed polyester foam. For the higher frequencies, it has an enhanced “super tweeter” that focuses on providing maximum clarity to the audio. Overall, the Kicker 43DSC69304 D-Series 6×9 are excellent all-rounders and the best option for those wanting value for their money. The most popular 6×9 speakers is the R129X3 by Rockford Fosgate, which are designed to be factory replacement speakers with improved performance. Installation of these speakers is as simple as connecting 3 wires, screwing to the mount and that is it. In terms of producing deep bass, it uses a vacuum polypropylene cone and rubber surround for mid-range output. To improve clarity, it has two tweeters and a built-in crossover network, which provides excellent sound quality. The Kenwood KFC-6965S are one of the cheapest 6×9 speakers available that actually provide worthy performance. As they are produced by Kenwood, you also have the backing of a reputable brand for peace of mind. Overall, they are cheap 6×9 speakers that perform better than you would expect. They are direct replacement to factory speakers that are easy to install and provide good mid and high range audio. Since audio technology is constantly evolving, it makes sense to upgrade your speaker after a few years. The latest 6×9 speakers can range from 2 way to 5 way and provide all-round performance, which will be a huge improved to old factory setups. They provide a range of benefits that can transform your audio experience. However, not all speaker mounts are 6×9 and instead are the more common 6.5 inch size. Therefore, you may require cutting the existing mount into the oval 6 x 9 inch shape with custom mounting to ensure a secure fit. This may seem complex but it is fairly straight forward with a bit of patience. To help you make an informed buying decision, we have produced the below buying guide regarding 6×9 speakers. In order to blast deep bass and distortion-free music, the speaker need to be built to a certain standard. The construction of most 6×9 speakers will include a woofer, surround and tweeters, which together provide excellent sound quality and bass. Tweeters are required to produce the highs and are usually a ceramic, polyurethane material. In the more expensive examples, many even use silk for the tweeter membrane but for better highs, metal, ceramics or graphite are best. In terms of 6×9 speakers for bass, those that produce the deepest bass will use a woofer made of a polypropylene material. However, there are alternatives that use woven fabrics or other synthetic materials. The surround of the speaker is mostly made of a durable rubber but cheaper alternatives may use a foam to reduce costs. Many people that are new to car audio may focus their comparison research on the peak power rating. Although it is an important rating, it doesn’t indicate the quality of the speaker itself. Instead we advise that you focus on the RMS rating. RMS refers to “Root Means Square” and is measured in wattage. With regards to car audio, the higher the RMS wattage, the more power the speaker can handle, which correlates to the sound quality of the speaker itself. It is important to note that if the speaker has a high RMS, you may need a car amplifier to achieve maximum performance. If you are still focused on having the maximum amount of power output for serious bass, you should use a subwoofer for your car. This way the subwoofer can provide the power whereas the 6×9 speakers can focus on sound quality with a higher RMS. Speaker sensitivity is measured in dB (Decibels) and refers to the amount of sound the speaker can produce depending on the power it consumes. In simplistic terms, the higher the sensitivity rating, the louder you can blast music and it will not require as much power. If the sensitivity is low, you can improve the loudness by hooking it up to an amplifier. Another measurement that indicates the quality of a speaker is the impedance. It is measured in Ohms and in general, higher impedance requires more power to produce maximum sound quality. If you already have an amplifier, you will want to match the impedance of the speaker and amplifier. The majority of 6×9 configurations will be either a 2 or 3 way. The number refers to the amount of drivers (or speakers) that it uses to output audio. As mentioned in the construction of the speaker, most will have a woofer and tweeter but other may have additional components such as extra tweeters. More components may sound like it will be the better speaker but it does not always result in better sound quality. Installing 6×9 speakers is an easy tasks as many may be a direct replacement or only require minor adjustments to fit securely. Remove the door card and any other trim covering the existing speaker. Disassemble the original speaker and keep all the hardware. Carefully remove the wires connecting to the speaker. Connect new speaker and any aftermarket wiring or adapters. Test that the speaker works before putting the trim back together. Improve sound dampening material if required. Place the speaker in position and tighten the screws holding it to the mount. Ensure all the trim are back to how they were. Installation is fairly straightforward but some enthusiasts may want to use a custom setup and build a speaker box to mount the speakers into. You really can be creative when it comes to your audio setup and 6×9 speakers are very versatile, which means they can be installed virtually anywhere in the car. Due to the oval shape of the 6×9 speaker, it has more cone surface, which makes them ideal for improving midbass performance. They can be installed fairly easily and provide better performance than 6.5 speakers in some cases. All of our recommendations cover a range of speakers that are suited to a range of budgets and perform accordingly. When it comes to audio, the price you pay will reflect on the quality of the audio and we highly advise that you concentrate on the RMS rating than the peak power.